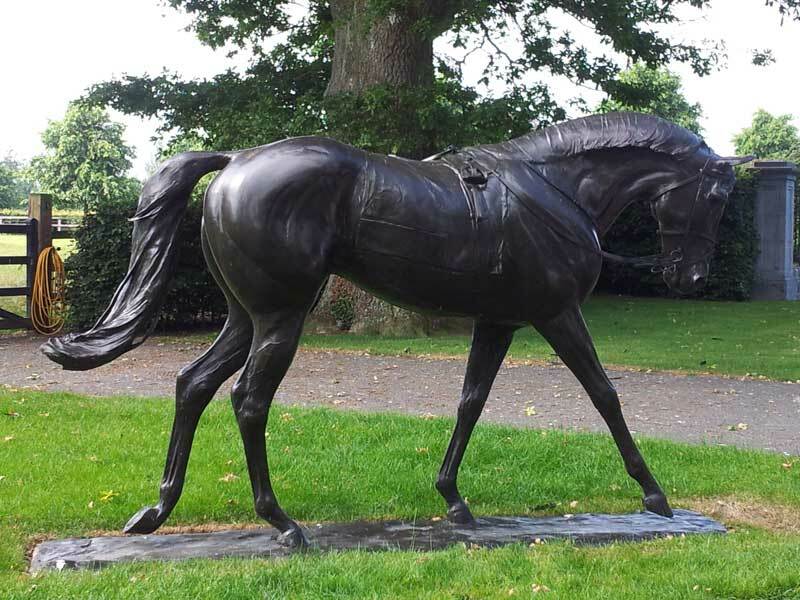 On a glorious Thursday 11 July Faith Ponsonby BHSI, Representative for the Fellows & Instructors Association, arranged for a group of us to visit Coolmore Stud in Co. Tipperary. A small but select group of 15 with visiting BHSI Ann Bostock & her husband from Buckinghamshire England were very ably guided round by Peter Steele who spent two hours showing us the prepping areas for the mares, the covering yards, stallion boxes and stallion paddocks. Here we were lucky enough to see, Danehill Dancer and Holy Roman Emperor and in his stable the wonderful Galileo. On Wednesday 3rd July 2013 10am – 4pm at Shorthampton Farm, Chipping Norton, OX7 3HW, 9 delegates enjoyed a fabulous day coaching, discussing and sharing schooling exercises, guided by Jeremy Michaels FBHS. The day was hosted by Mandy Holloway who provided us with a great venue for the day, fantastic horses and riders and a most excellent lunch. On June 13 approximately 50 fortunate F and I members and guests assembled at Carl Hester’s idyllic Gloucester base to feast our eyes and fuel our minds with Carl’s inspirational ways. The morning started with Carl discussing his four year olds and then progressing through the ages and stages finishing up with Dances with Wolves – a horse which Carl is very excited about. We were in store for an extra treat as double Olympic gold medallist Charlotte Dujardin was kindly showing some of the horses for us. Another young rider called “Sophie” was showing her talent and skills when riding the 7 year old Chocolate Orange. Carl continually dropped in pearls of wisdom for us to soak up. A lot of the work at home is done in rising trot and a lot of leg yield is used. He stated that softness and submission was needed before riding forward. Create movement don’t buy it. A potential Grand Prix horse needs to have plenty of go as a youngster! His last gem was if you want them to stay sound keep them moving! Throughout the morning Carl stressed his ethos with the horses, saying you will hear the same old thing , repeat and be consistent. The horses work four times a week with plenty of hacking and daily turn out, often at night and together! It became very clear that Carl is not only an outstanding trainer but a man of true values, always putting his horses wellbeing before anything else, going to great lengths to make sure that they are being trained in a positive, happy environment. Carl was outstandingly generous sharing his training methods and happily answering questions and later showing us around his splendid yard. He was always patient and amusing. Thank you Andrew for organising this splendid day which ran so smoothly, was such a success and a treat for us all. “Forward Forward Forward………” I heard in the background of my “hands free” as I turned the car around and waved for the third time at the man walking his dog who laughed and waved back. From there Traffic Controller Ann talked me in to the yard! Needless to say I missed the best part of the first session, however I did hear an excellent explanation of how to encourage a horse to take the neck out without losing the connection and balance by keeping the reins short enough to maintain a good contact and producing greater support and engagement from the hind legs, which reminded me of just why we were there. Judy Harvey is both generous and exceptionally clear in her explanations of training, coaching, judging and riding, indeed an all round view from which everyone is able to learn. It was unusual to drive south from Northumberland to find that spring was also late at Badminton with slow growing grass and no swallows in the main arena on the Friday. However, sun, blue skies and a fresh wind made perfect conditions for course walking. Nick started by saying how well and fit all the horses had looked at the initial trot up the previous evening and that he felt that this year’s course was for a thinking rider but horse friendly. The fences were discussed in terms of approach, lines through combinations, stride options and the effects of various landings. Gear changes were mentioned often (we’re talking Porsche not Minis! ) The need for the powerful, hock engaged canter cropped up several times. An awareness of time versus the terrain and the ability of the rider to make up their time on the open places after the inevitable steadying effect of the combinations. Riders making decisions and committing to their line but ultimately riding with their eye and reacting positively to what is happening underneath them. Thank you Nick for giving up your time and Ann for organising such an educational and enjoyable afternoon.